As a young Physiotherapist I graduated in an era where women in health largely worked in the public health system. That is exactly what happened; my first job running a clinic based at Dunedin Hospital. I had a dream to make a difference, to pioneer work in under-developed countries, to make a mark on physiotherapy practice, and in particular to continue to use my expertise working with children as a developmental therapist. What to do when I ended up in Balmoral Forest, Harihari, and then Eketahuna? I started to treat the local farmers for back pain, and I loved it. My children as they grew, were integrated into my work, helping with filing, answering phones, checking hot packs, and entertaining the patients. I also enjoyed working and living in small communities where my patients became my friends. Eventually I was able to employ young physios, to give me time also to serve on the Physiotherapy Board of New Zealand, assist in building a hospital for the people of Dannevirke, to work in physiotherapy practice quality and audit, and to teach clinical practice for Otago University Physiotherapy fourth year Students. In later years, when it looked least likely to happen, an opportunity opened for me to go to Myanmar working as a volunteer at the Eden Center for disabled children, and while over there running postgraduate spinal seminars to support the professional growth of physiotherapists. My work there is ongoing. Currently working in the public sector again, I have had the opportunity to deliver physiotherapy to the Chatham Island community, and to gain recognition as an Advanced Practitioner in the area of spinal physiotherapy in the Hawke's Bay. 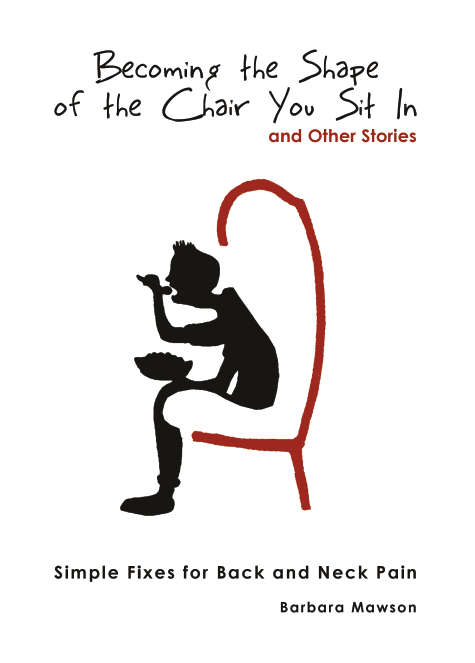 My book 'Becoming the Shape of the Chair You Sit In' was written in response to a lifetime of results while working in the area of spinal pain, diagnosing, teaching, and treating - 45 years in all. This book has been the last dream, the expression of my life in physiotherapy and the intention of making the most difference in as many lives as possible.